It is always vital that the saxophone is kept as clean and as healthy as possible. 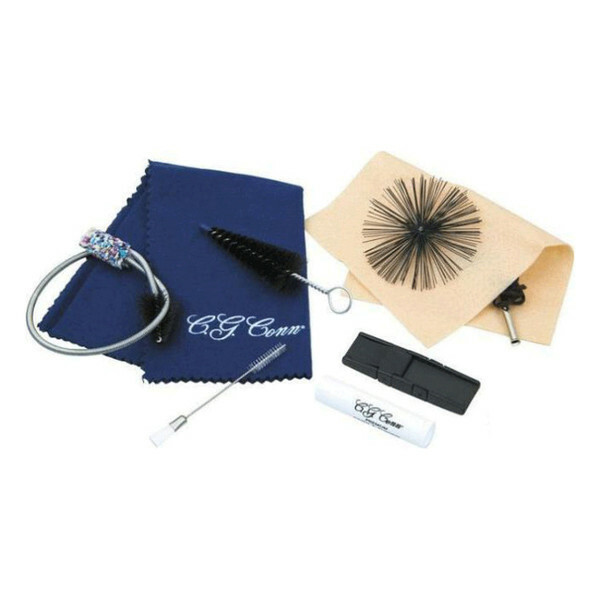 The use of the Conn-Selmer kit enables the performer to maintain the instrument in its perfect glory through use of brushes and cleaning cloths. With this Conn-Selmer Care Kit, everything you need to keep the saxophone pristine is included. A metal polish cloth has been included which prevents scratching to the metal unlike most other cloths. A pull through cloth and flexible saxophone swab aids the cleanliness of the inside of the saxophone, preventing the build-up of grime and dirt. As well as this, a duster brush, mouthpiece brush and neck cleaner have been added to remove dust from the hard to reach mechanisms of the instrument.